When you arrive at our hospital, of course you want to know how your furry baby will be cared for. You will find that things here in our emergency and critical care unit run like a well-oiled machine in order to provide the best care possible. Will there be a wait? – We do our best to not keep our patients waiting, but due to the nature of an emergency room, sometimes it is necessary. We utilize a triage system to be sure that more urgent problems are addressed promptly. What will happen when we arrive? – When you first arrive, a veterinary technician will speak with you in order to determine the urgency of your situation. Then a thorough examination will be conducted and a history taken in order to formulate a plan for your pet. Who is caring for my pet? – From our reception staff to our doctors to our licensed veterinary technicians, everyone who will meet you and your pet is highly skilled in their field. OVRS has the highest level of Veterinary Emergency and Critical Care certification and our ER teams all have focused training in emergency and critical care. 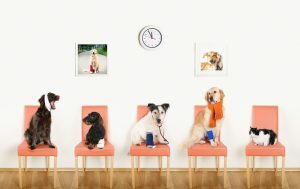 If your pet should need the care of a specialist, we have several on staff who are able to help. What if he/she has to stay? – Your pet is in good hands. Our facility offers the most up to date treatment and monitoring capabilities available. Should he or she need to be hospitalized, our centrally located workstation allows our highly skilled doctors and support staff a full view of the entire intensive care unit. We also provide many comfy blankets, towels, and other necessities. You may leave a properly labeled toy or stuffed animal with your pet if desired. Can I visit my pet? – Of course! We know how special your four-legged companion is to you, and have daily visiting hours between 6 and 8:30 p.m. We will also keep in touch via phone as to any updates or changes in condition. You are welcome to call any time. We give each and every patient the care and compassion that we would our own, however sometimes, despite our best efforts, emergency patients may not have an ideal outcome. We wish that we could save every pet but it isn’t always possible. We will keep in touch with your regular family veterinarian so that he or she knows exactly what is happening with your pet. 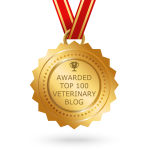 We have relationships with many of the area veterinarians and work with your veterinarian for the best outcome. Pet emergencies are not on anyone’s list of fun things, but sometimes they do happen. Oakland Veterinary Referral Services is proud to serve SE Michigan and the Midwest with the best care possible, no matter what the situation.